Monolithic domes are known for their ability to withstand intense winds and storms. They have been recognized by FEMA to provide “near-absolute protection” against severe weather. For this reason, domes have become a popular building type in states likely to experience severe storms. Until recently, monolithic dome construction was essentially nonexistent in the Mid Atlantic, where the need for storm-proof buildings is much lower than in the Southeast and Midwest. 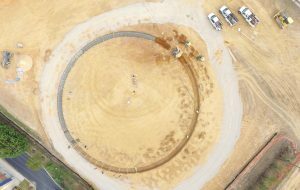 This changed when the Delaware Military Academy, the country’s first and only Navy Junior Reserve Officer Training Corps High School, discovered monolithic dome’s other benefits: their low operating costs and their quick construction time. 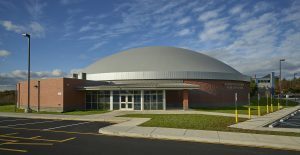 With a need for new athletic facilities and academic space, the school selected Wohlsen Construction to construct the region’s first monolithic dome structure. In under 12 months, the Delaware Military Academy was able to hold class and sporting events in the new Anthony N. Fusco Sr. Athletic Center! 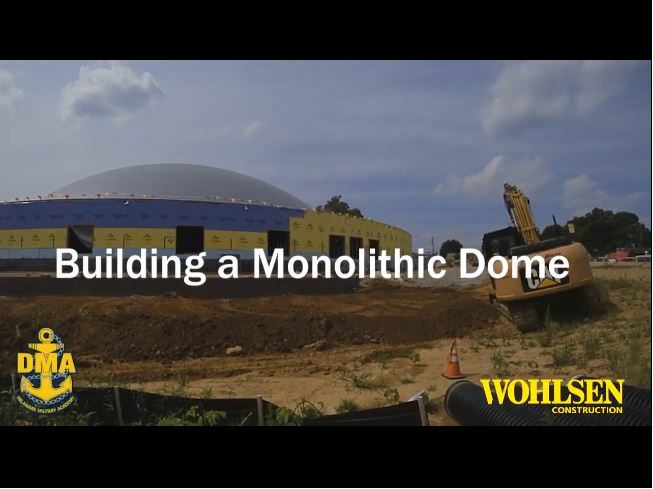 For more information on the process of dome construction, check out the video below!